We are committed to providing the very best of services to our members. We hope you will find a variety of activities and programs that offer something to everyone. Parents can enjoy their workouts while their children are interacting and playing with other kids in the Kiddie Korner. 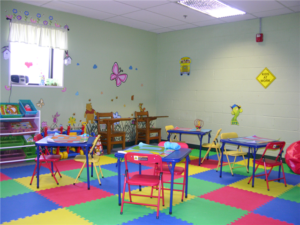 Children will have all types of activities to choose from, such as organized games, coloring and exercise activities. There is a 2 hour time limit for children in the child watch area and parents may only leave up to 3 children at one time. Child Watch is for members only and is free. Click HERE to learn more about the NOMAD Karate Club! 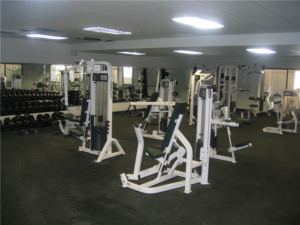 We Are A Full Service Fitness & Aquatics Center. Become a NOMAD Aquatics & Fitness Member Today!